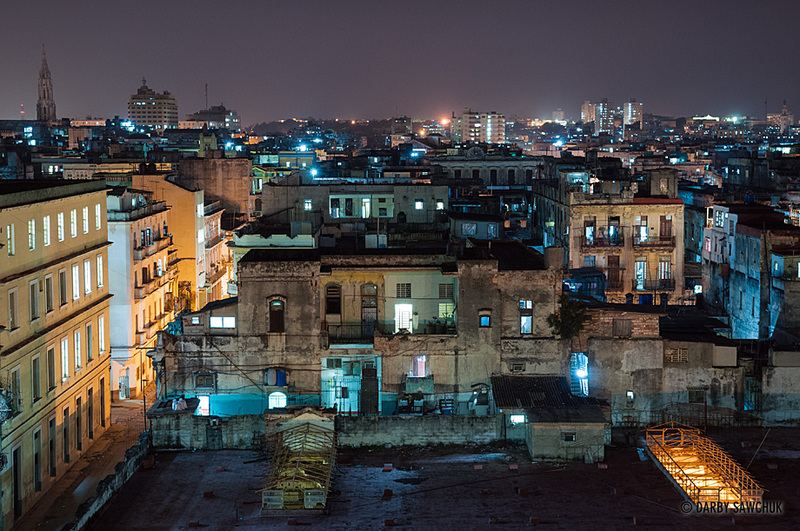 Land of revolutions, American cars, eccelectic colonial architecture, impassioned discussions about baseball, dominoes, cigars, coffee, scorching beaches, socialism, ingenuity in the face of privation, and enough music to make even the most stuck-up fuddy-duddies move their hips. This is Cuba. 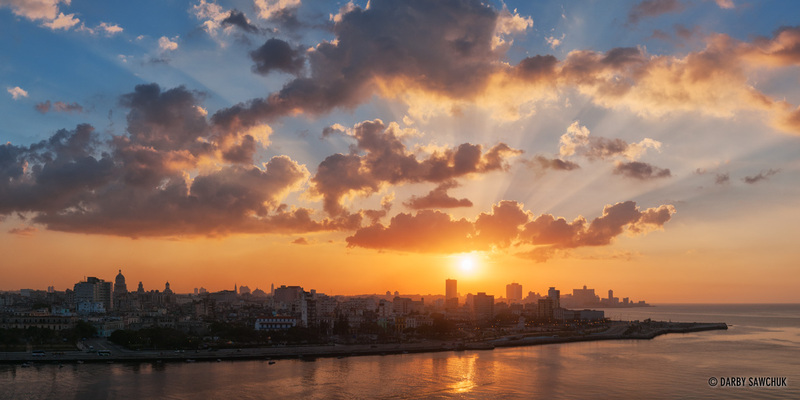 This gallery of photos shows off the nation’s capital: Havana. The Caribbean’s largest city is full of history, culture and spirit. Sturdy forts overlooking the port lead to the unique architecture of the old town’s cramped streets where the city’s heart resides. From there, it pumps life out to the new town and beyond to giant colonial hotels and towering communist monuments. The Malecon wall divides the land from the sea to the north and when the people are finished their day’s work (or a marathon game of dominoes) the sea breezes and gorgeous sunsets, there’s no more inviting place to rest. 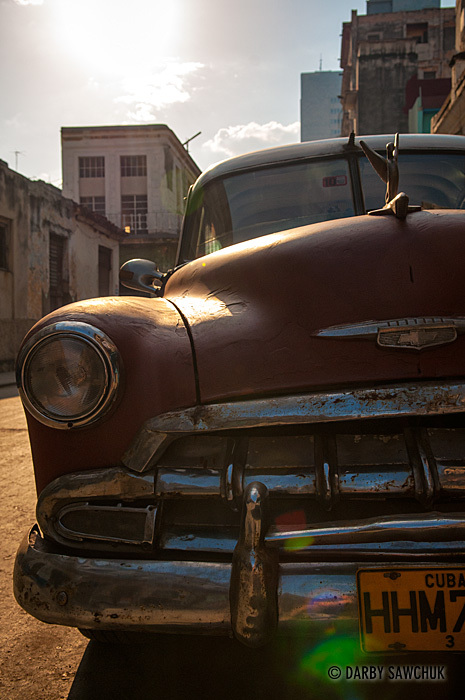 Explore more of my images of this fascinating country in part II of my photos of Cuba. 01. 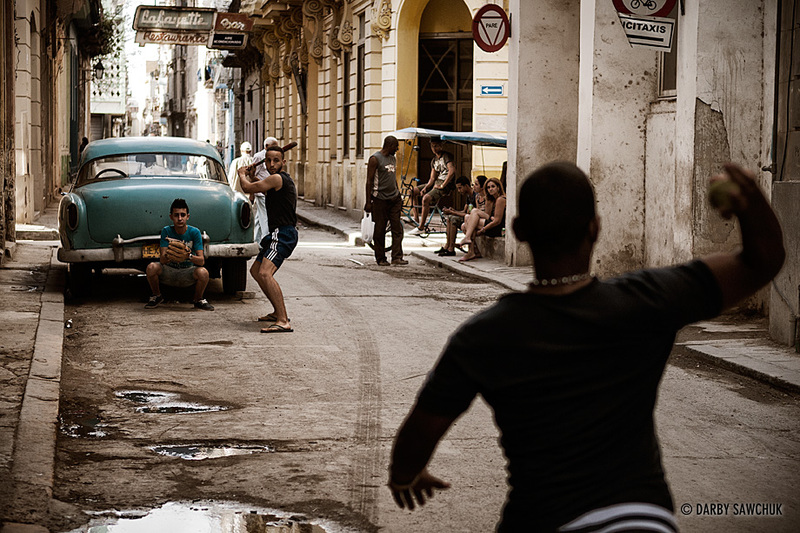 One of the island’s vintage cars serves as a back stop for teens aspiring for the big leagues in baseball-obsessed Cuba. 02. 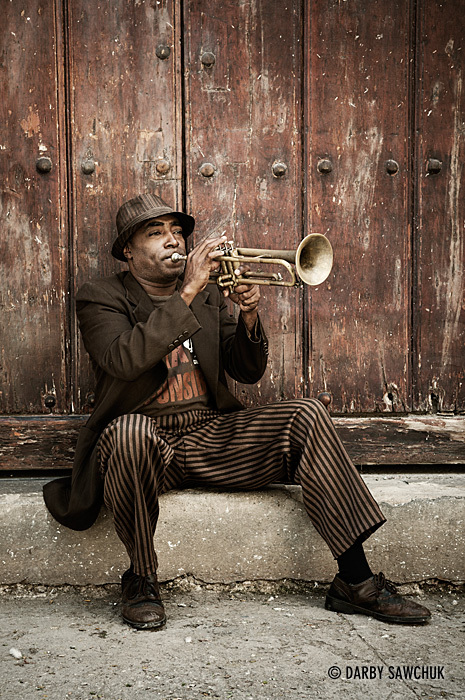 A trumpet player practices on a step in the old town of Havana, Cuba. 03. 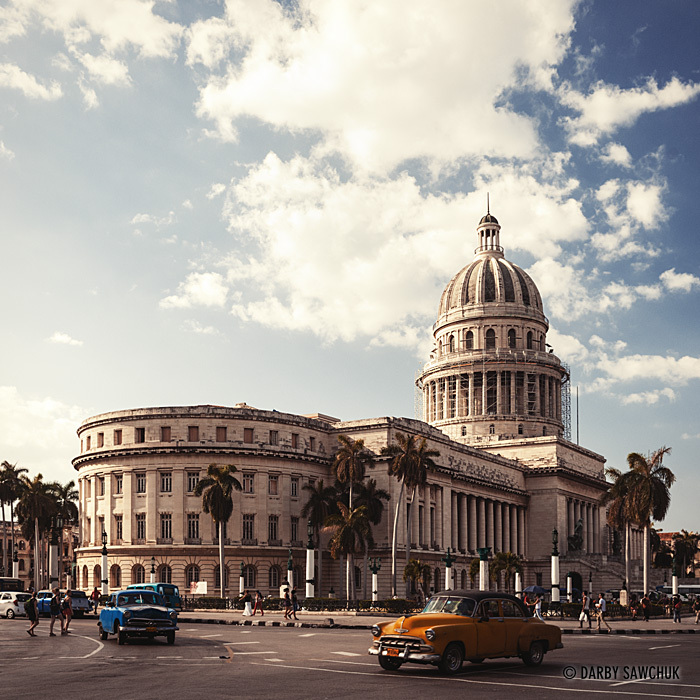 The National Capitol Building or El Capitolio, the former seat of government in Havana, Cuba. 04. 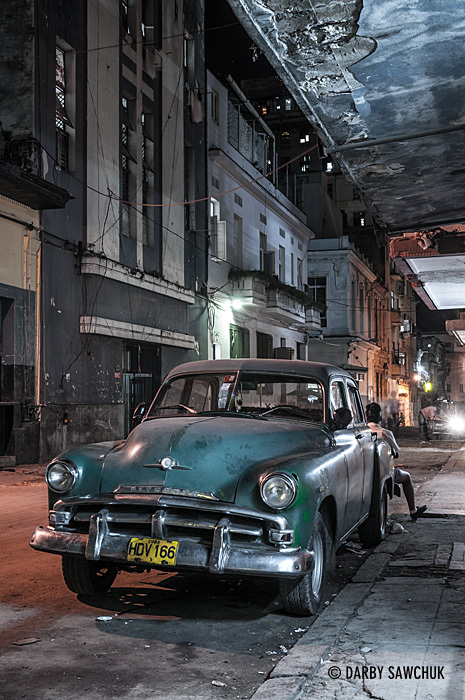 A vintage American car on the streets of Havana, Cuba at night. 06. 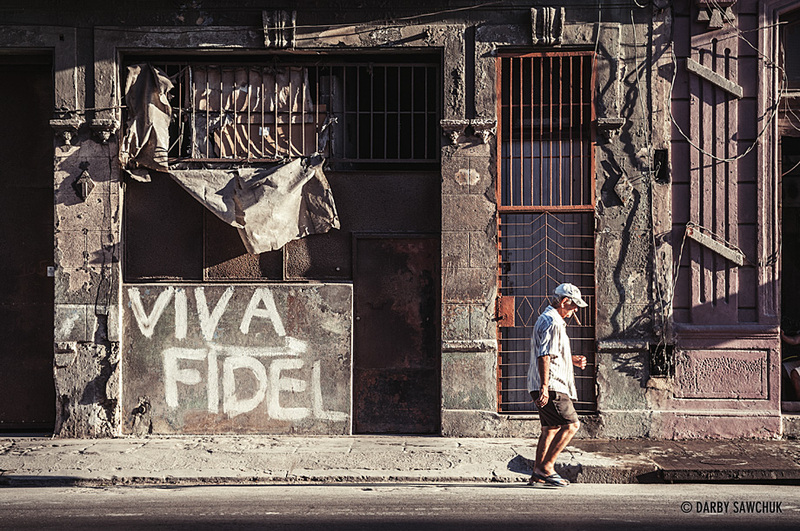 A cuban man smokes a cigar and walks past graffiti reading “Viva Fidel” in reference to the country’s former leader, Fidel Castro in Havana, Cuba. 07. 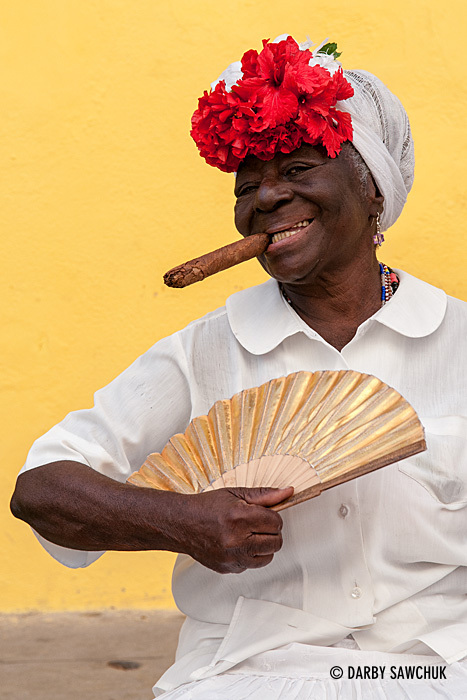 A cigar-smoking woman poses with a fan in Havana, Cuba. 08. 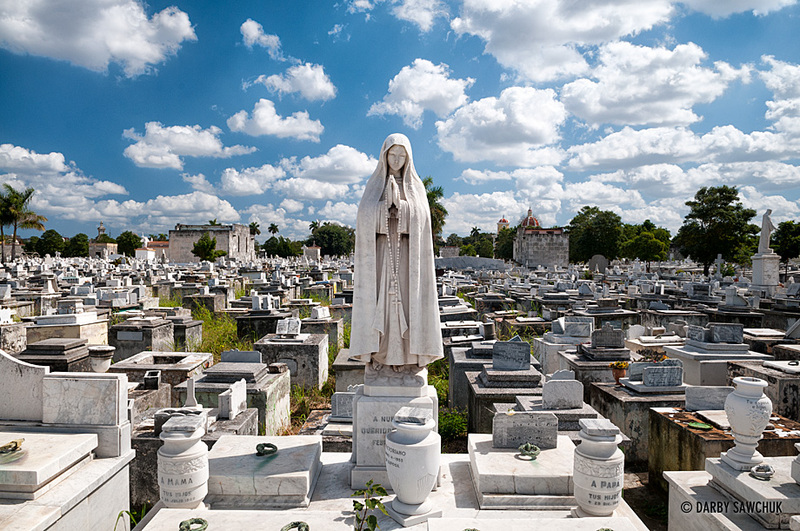 A stone angel sculpture in the crowded Colon Cemetery (Necropolis Cristobal Colon) in Havana, Cuba. 09. 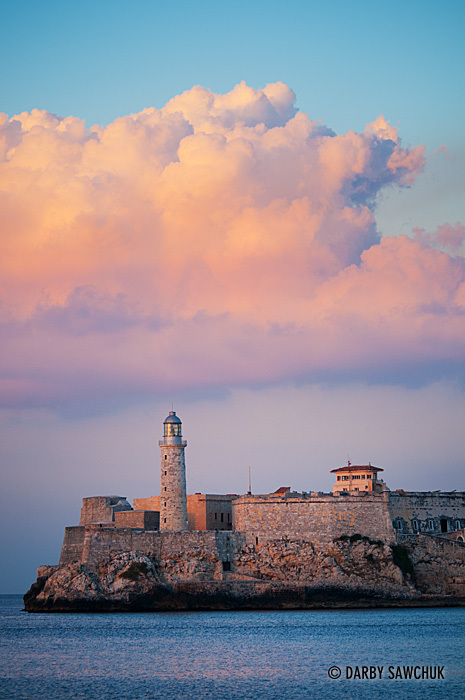 The Lighthouse at the Castle of Tres Reyes del Morro (Castillo de los Tres Reyes Magos del Morro). 10. 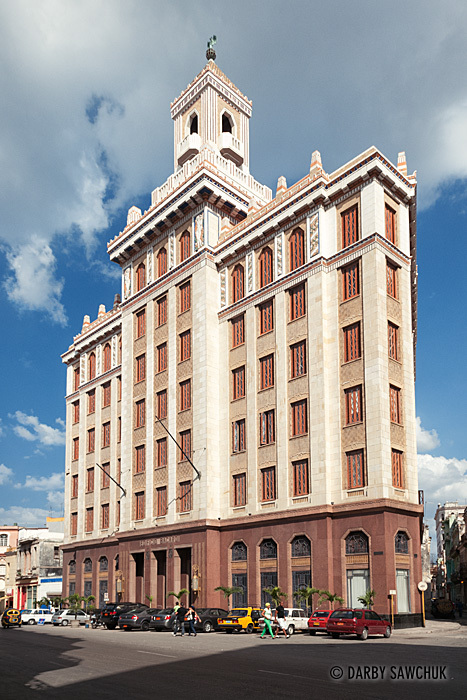 The Edificio Bacardi stands as a landmark example of art-deco architecture in Havana, Cuba. 11. 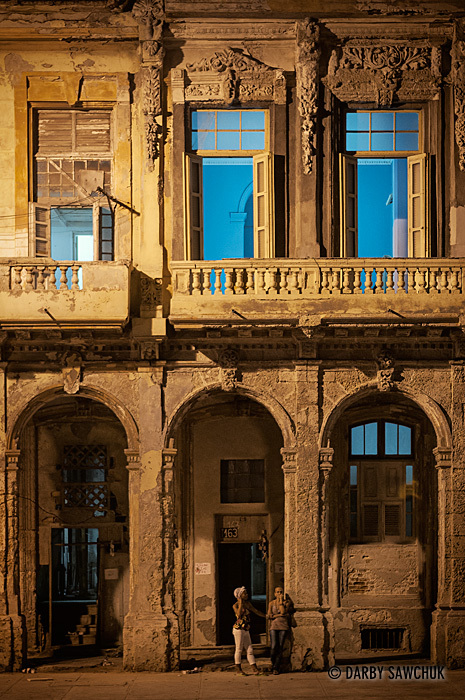 The old buildings of Centro Havana at night. 12. 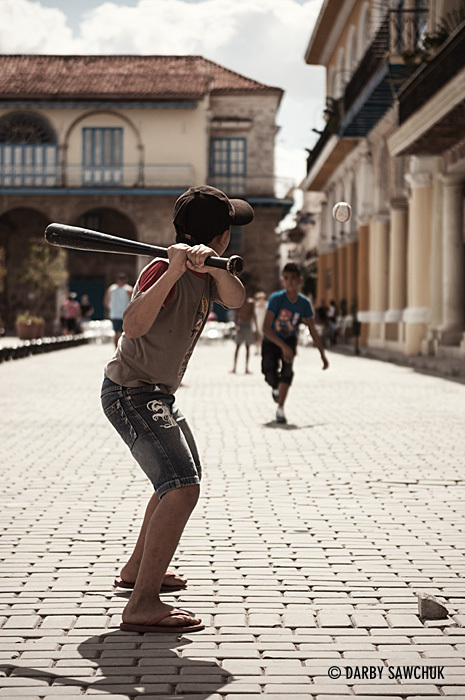 Children play baseball in Plaza Vieja, one of the main squares in the old town of Havana. 13. Unrestored Spanish Colonial architecture opposite the Malecon sea wall in Havana, Cuba. 14. A vintage American car with the National Capitol Building in the background at night. 16. 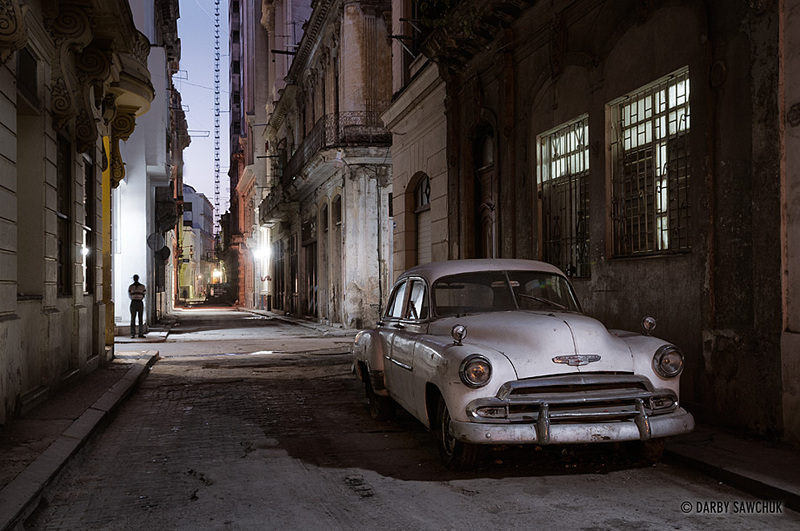 A vintage American car on the streets of Havana, Cuba at night. 17. Dominoes, checkers and in this case, chess are widely played out in the open streets in Cuba. 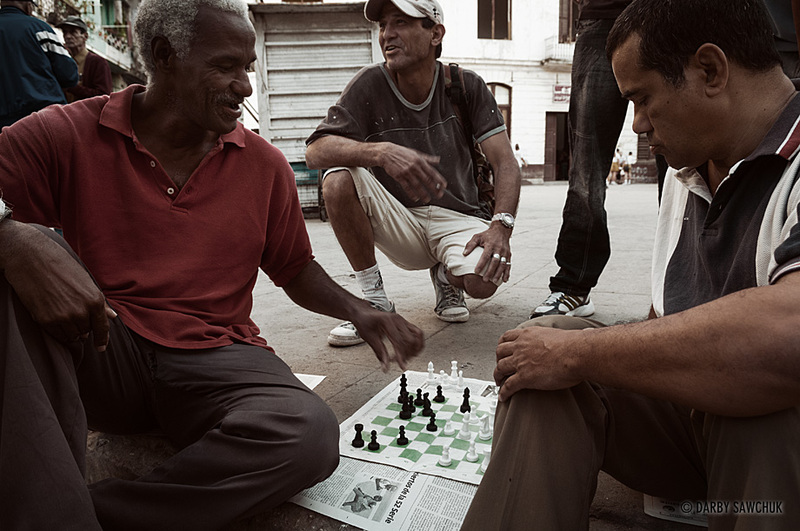 Here, men play chess on a simple, paper board in Havana Vieja. 18. 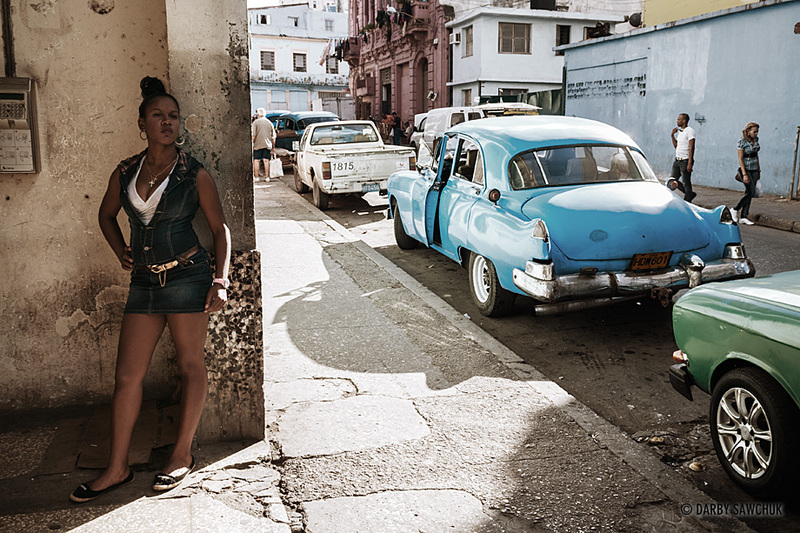 A woman waits in the shade with vintage american cars in the background in central Havana. 19. A vintage American car on the streets of Havana, Cuba with a graffiti reading “Viva, Fidel” nearby. 20. 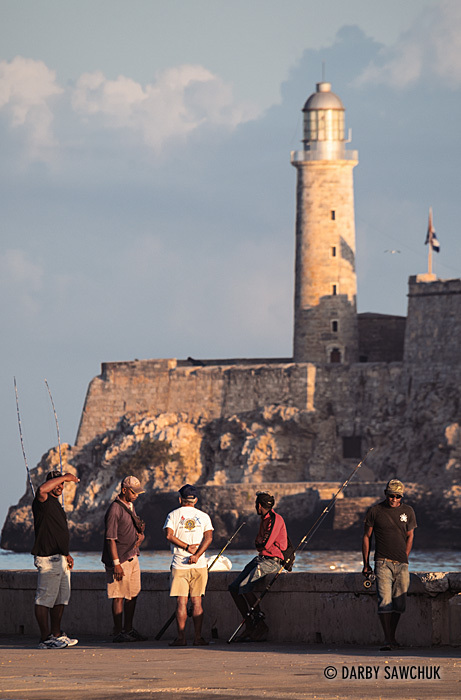 Fisherman try for a catch in Canal de Entrada (the entrance to the port of Havana) with the Lighthouse at the Castle of Tres Reyes del Morro in the background. 21. 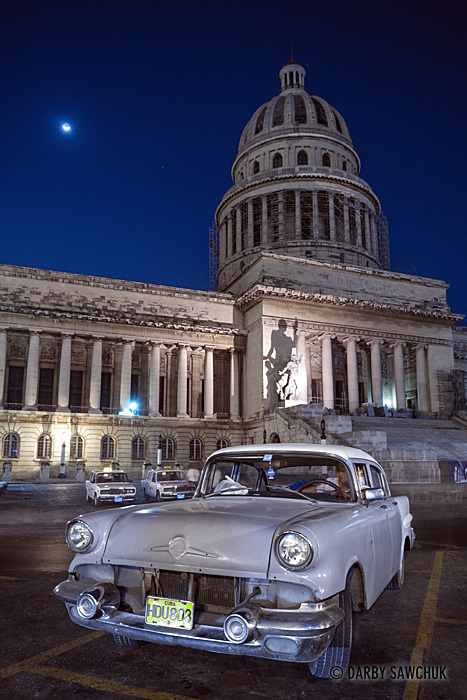 A vintage American car with the National Capitol Building in the background at night. 22. 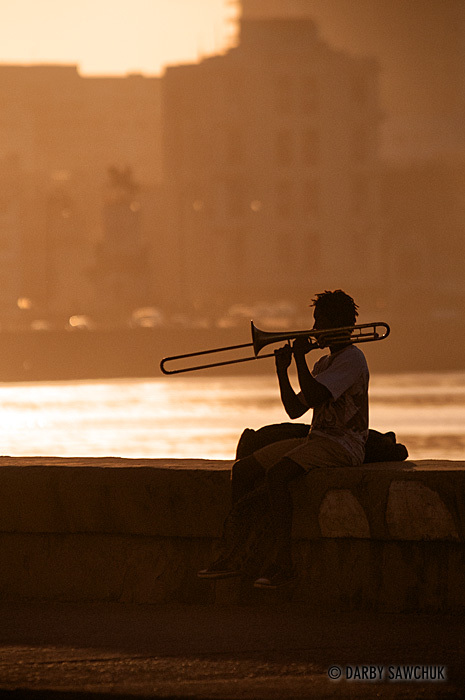 A trombone player practices his instrument on the Malecon sea wall at sunset. 23. 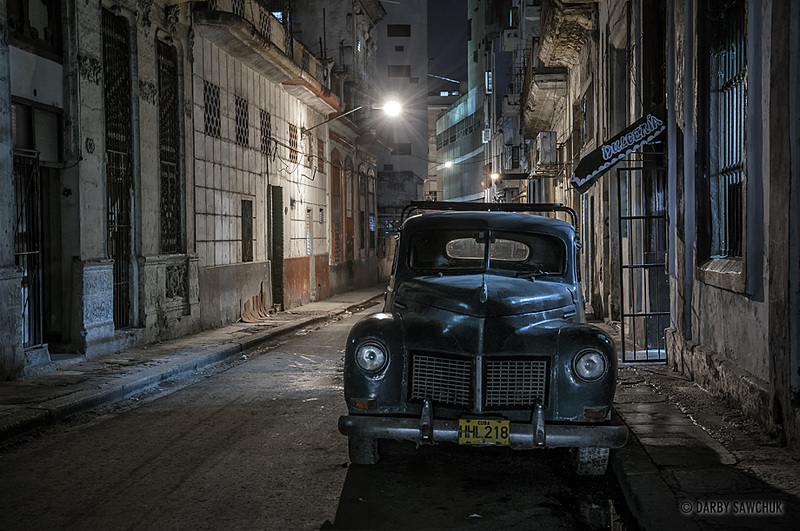 A vintage American car on the streets of Havana, Cuba at night. 24. 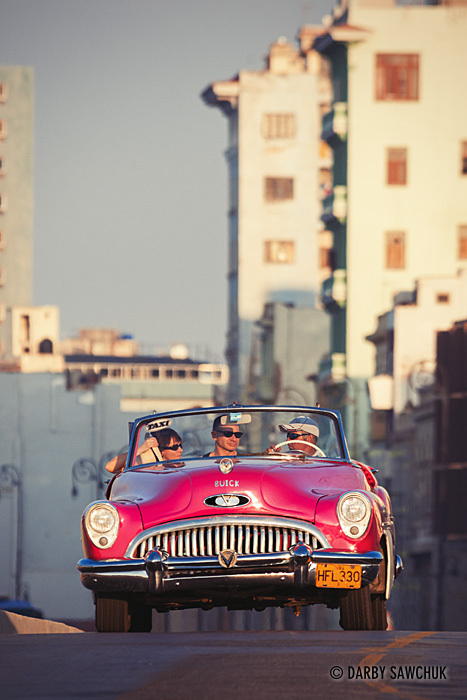 A pink classic convertible taxi carries passengers along one of Havana’s wide main roads. 25. 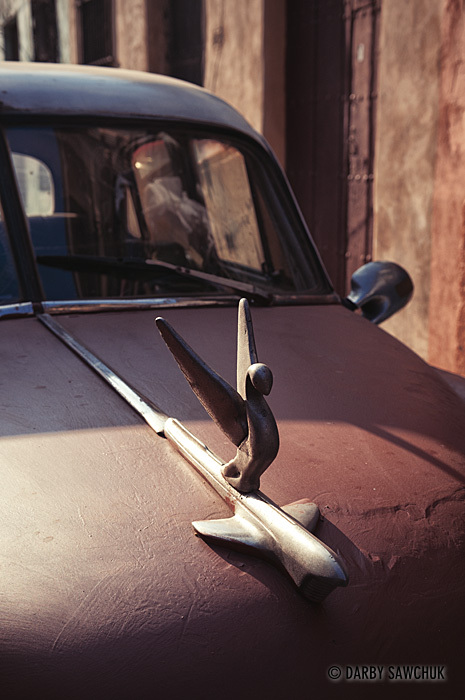 The hood ornament of one of Cuba’s classic American cars. 27. 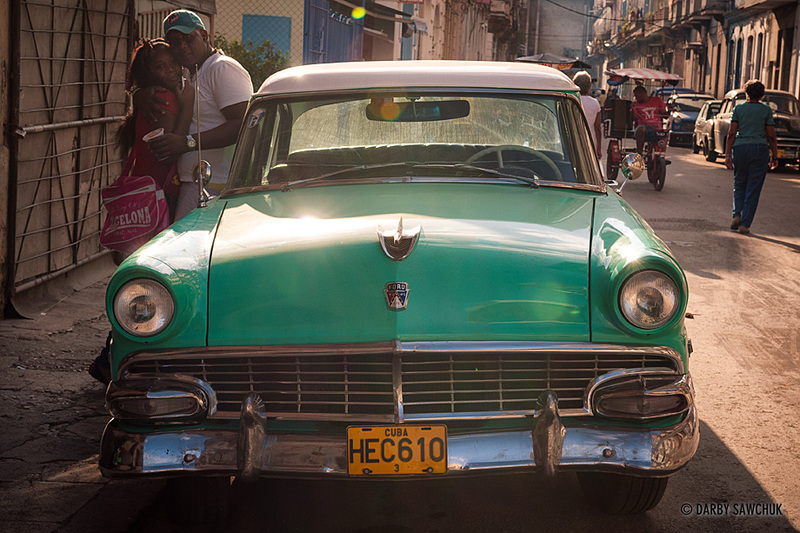 A couple embrace next to their classic American car in the streets of Havana Centro. 29. 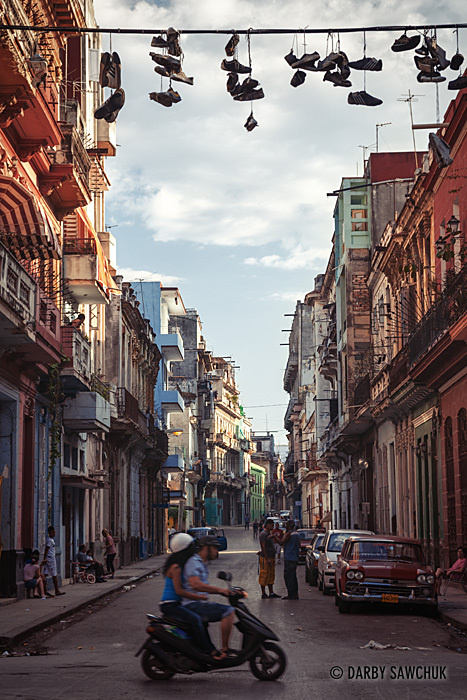 Shoes dangle from a power line above the streets of central Havana. 30. 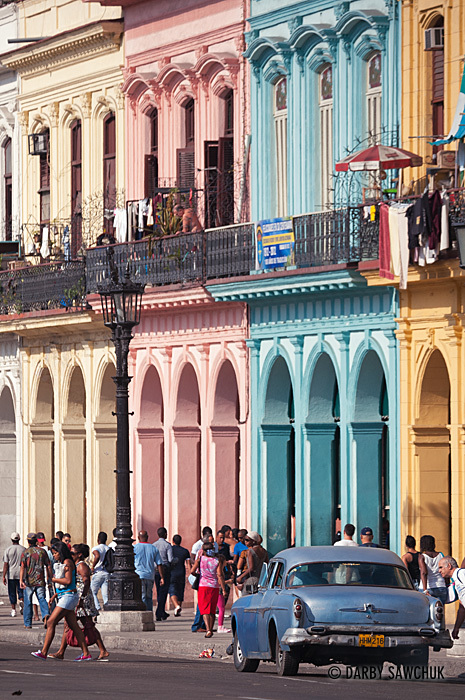 A colourful Spanish Colonial style arcade along Paseo de Marti in Central Havana, Cuba. 31. 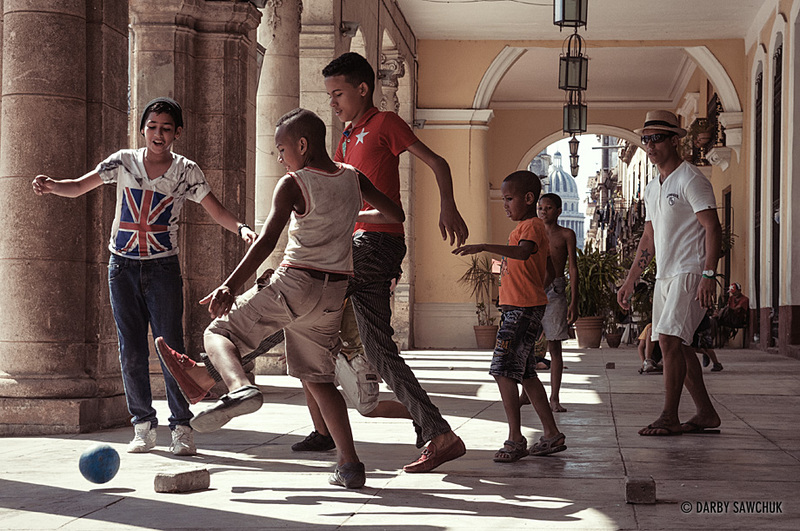 Young boys and teens play soccer beneath a colonial arcade in the Plaza Vieja in Havana’s old town. 32. 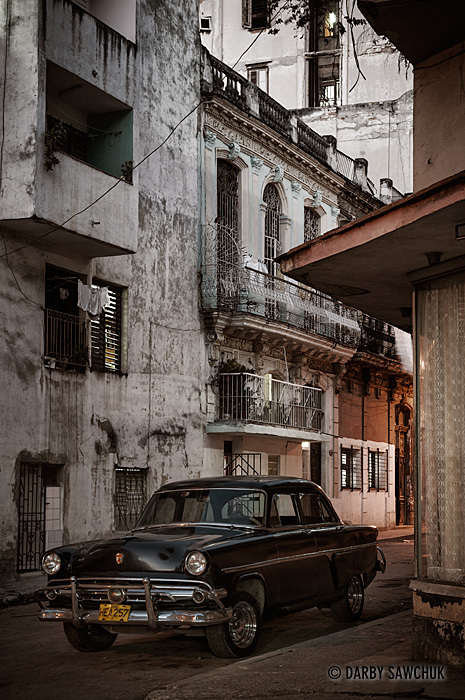 A vintage American car on the streets of Havana, Cuba. 33. 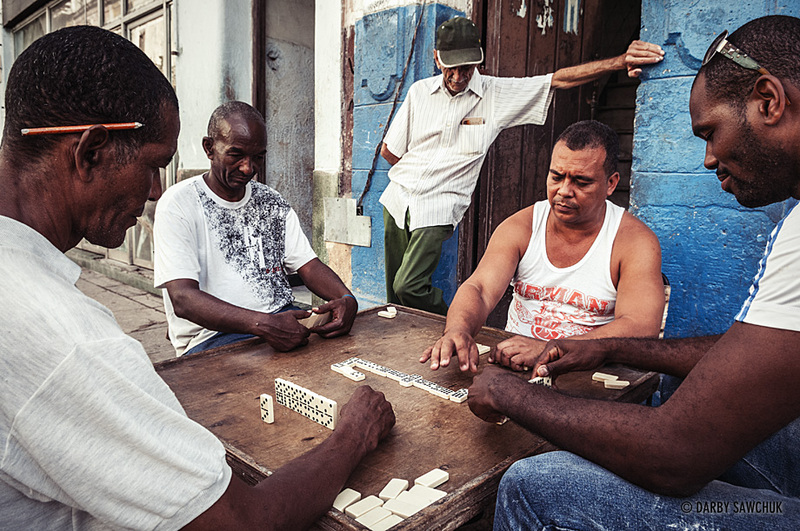 Men play dominoes, one of the nation’s favourite pasttimes, in Havana, Cuba. 34. 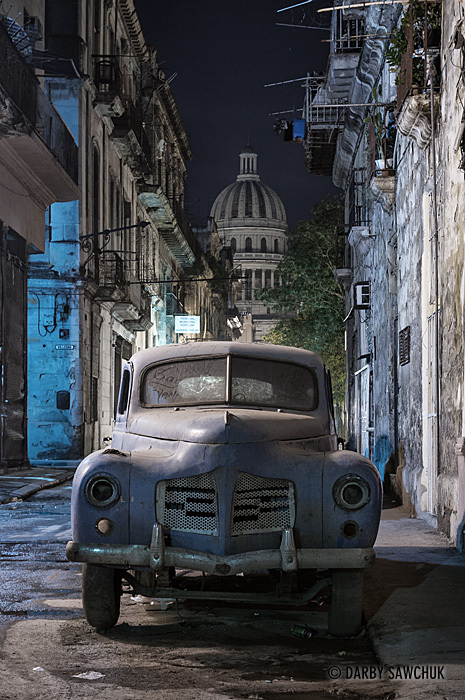 A vintage American car on the streets of Havana, Cuba at night. 35. 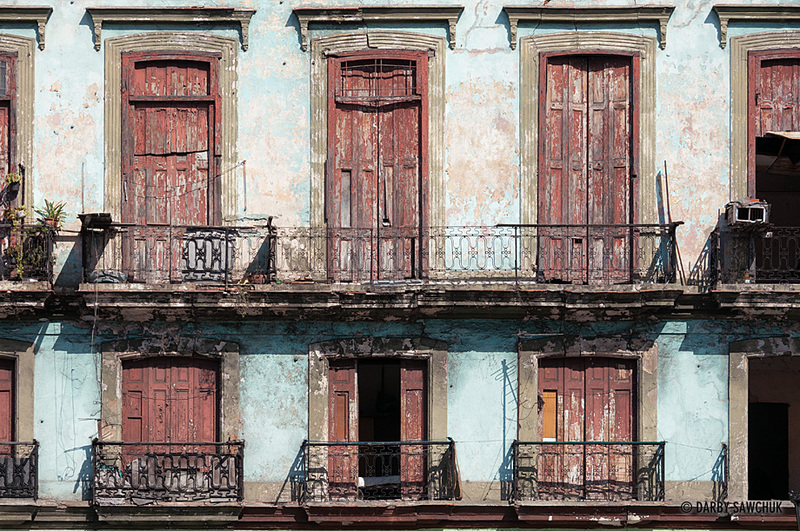 Unrestored balconies of colonial buildings in central Havana, Cuba. 36. 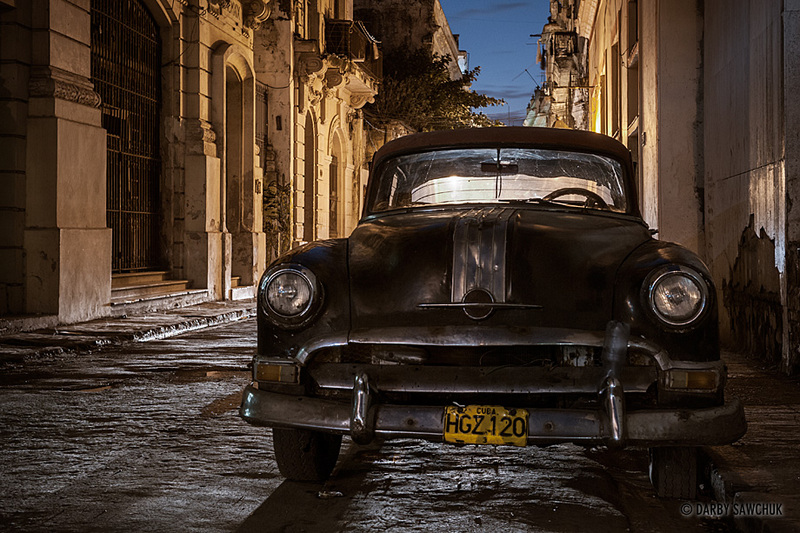 A vintage American car on the streets of Havana, Cuba at night. Keywords: photos of cuba, images of cuba, pictures of cuba, architectural photography, landscape photography, travel photography, street photography, fine art prints, stock photography. 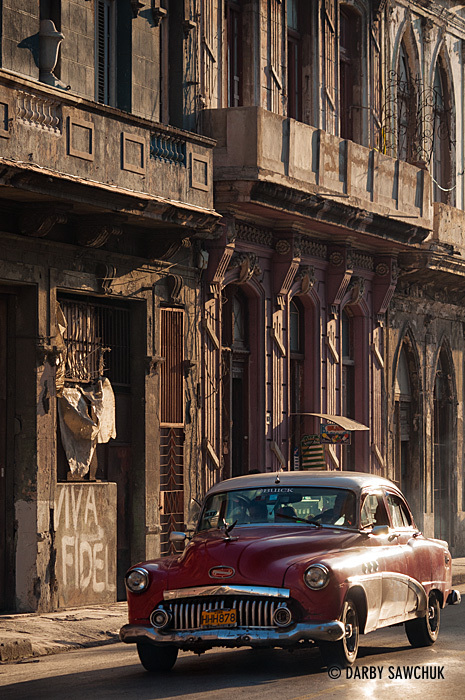 I hope Cuba stays that way for a long time… I’m referring to the beautiful “vintage decay” and the old cars, the old look and feel. Will buy one definitely in a few months for my new home.